I somehow doubt that Ben Afflecks melancholy directorial debut will change his flagging fortunes, but its not for lack of ability. Although crime-genre trappings hamper his films ability to make a point, a deeply felt sense of frustration and disappointment overwhelm its many flaws. 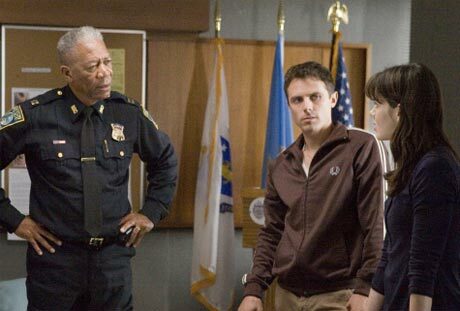 Set in working-class Boston, it posits Casey Affleck as a private detective called in to help with an abducted-child case thats shattered his neighbourhood. He quickly uncovers that the devastated mother was in fact getting high when her daughter got snatched, but thats only the beginning of a case that leads to drug dealers, child molesters, corrupt cops and a wealth of complexity that Affleck can barely deal with. The movie often cant deal with it either, largely due to the "complete the task mentality that shoehorns subtext into a format that isnt necessarily expressive. But both the material (from a Dennis Lehane novel) and the follow-through offer views of seedy urban life (and the despair that lives there) that are pretty hard to find elsewhere in current American film. Though Michelle Monaghan is too glamorous as the younger Afflecks wife and partner, the rest of the supporting cast seem infinitely credible as people who live outside of the economic centre of power, and they powerfully radiate their dissatisfaction. Further, once the films moral crisis becomes apparent (and props to Ben Affleck for concealing it so long), its an interesting conundrum rather than a springboard to self-righteous grandstanding.